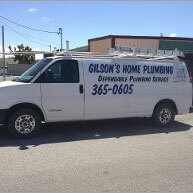 Since 1998, Gilsons Home Plumbing has been a trusted name in plumbing. We know that your options for finding a trustworthy plumber in Yucca Valley are few and far between, which is why we’ve set ourselves apart from the pack by always striving for a higher level of excellence. Whether it’s the work that we do or the personnel we employ, Gilsons Home Plumbing has set the bar for quality in the plumbing industry. Our philosophy is that each of our clients and their homes are unique, which is why we approach every job with fresh eyes and a goal for perfection. We know that your home is your biggest investment and that maintaining it is a lifelong task—we aim to be your trusted source for keeping your plumbing up to date and functioning great. When you choose Gilsons Home Plumbing, you’re choosing more than just another plumber: you’re choosing a trusted service to help you in your strive towards home perfection. Your home’s plumbing is a complex system and alone, its arduous to navigate and repair. Gilson Home Plumbing brings years of experience and veteran workmanship to the table, giving you peace of mind that any plumbing issue you’re experiencing is one that we’ve solved before, to the highest degree of excellence. Whether it’s simple leak repairs in Yucca Valley, CA or a complex retrofit for the plumbing system in your home, you can be confident in our ability to undertake the task with professionalism and integrity. We’ll do more than just resolve the problem you’re experiencing: we’ll ensure that your plumbing system is ready to serve you to your highest expectations for years to come. Customer satisfaction plays a huge role in our strive for perfection. We know that without satisfied customers, we wouldn’t be where we are today and because of this simple fact our quest for continued satisfaction has led us to outperform our customers’ expectations. Gilsons Home Plumbing offers free quotes on all of the work we do, right over the phone so that you know an upfront calculation of our costs. If that cost changes for any reason, we’ll make sure that you know beforehand, giving you peace of mind that we’re not out to overcharge you or lure you into hidden fees. We also stock a variety of parts, ensuring that when your home’s plumbing needs a crucial replacement, we have it on hand, ready to go at a moment’s notice. Our aim is to have your plumbing back in perfect working order in as short of a time as possible, which is why we consolidate our services into a single streamlined offering. At Gilsons Home Plumbing, you’ll get the quote, service and parts you’re looking for all in one place, with no runaround to complicate the process. Let us prove to you why our customers keep coming back to us time after time with their plumbing troubles. We’re the number one source for plumbing repairs, drain maintenance, piping installations, toilet and faucet repair, swamp cooler maintenance and leak repair in Yucca Valley, CA. Give us a call today at 760-365-0605 to see our dedication to you and your home firsthand.